Minneapolis is definitely more my style than St. Paul, but the upcoming Lowertown Pop maker's market at St. Paul's historic Union Depot, filled with talented local artisans from all over Minnesota, will be worth visiting the Capitol city to enjoy. Thanks to MN Blogger Bash, I was able to preview some of the makers popping up at the event - from upcycled leather goods from Desdamona Doolittle, to cheeky sentiments from Muddy Mouth Cards, to a Bloody Mary enhancer with some heat from Fast Mary's, to cleverly designed clothing by Anywhere Apparel, and everything in between. The market on April 15 will also include live demonstrations including those for cocktail making, aromatherapy, and styling multi-functional clothing. The schedule of demonstrations can be found on the Union Depot website: http://www.uniondepot.org/events/lowertownpop/. Lowertown Pop gives back to the St. Paul community! Tickets to the market are $10 in advance and $15 at the door, and half the proceeds will go to River's Edge Academy, and half will go to one of the makers featured. Perusing the market will be a great break from my PE studying and I am very looking forward to going. Also thanks to MN Blogger Bash, I have a pair of tickets to give away! To win a pair of tickets to Lowertown Pop, tweet me (@UrbanOrchidBlog) with which maker you are most excited to check out, and don't forget to include the hashtag #lowertownpop. Entries are due by 12 p.m. (Central Time) Saturday, April 8. Written by Urban Orchid On April 4, 2017 In "fashion", "jewelry", "food", "Minnesota"
Ah, Envision...the highlight event of each fashion season in the Twin Cities. Clear skies and a warm sun setting over downtown Minneapolis created the perfect spring evening to celebrate the season's best in local fashion. Set in Orchestra Hall on May 2, the event consisted of two runway segments showcasing local designers and boutiques, with music and art before, after, and in between. The Atrium/VIP Room featured several artists creating new works for sale via silent auction, proceeds going to Public Functionary. I noticed that this season, the artists works were the only items up for auction (as opposed to donated/sponsored gift sets and services) and that there were more artists. Artist at Envision creating live work to be auctioned. Also new this season was the addition of a pop-up shop. Locally based online retailer Hotrocity had a bunch of accessories for sale in their pop up, including some items that walked the runway. Hotrocity carries Cynthia Rae, Objects & Subjects, Koon Yai, Hardt, and other Minnesota based accessory and clothing designers. Hotrocity pop-up shop at Envision Spring 2015. The runway background was a beautiful floral sculpture, really bringing home the idea of tying together fashion and art. Tricia Khutoresky, the curator at Public Functionary, kicked off the event in a stunning white maxi-dress with perforated leather top. Trisha in a white maxi dress hosting Envision. She was excited by the support for Envision but reminded us that all the art and inspiration being showcased is made possible by local artists and businesses, and that if we like what we see, we should continue to support them. She was also excited by the fact that Beyonce’s tour DJ would be providing thing the music for the runway segments and the after party. DJ Monsieur Adi worked with the designers to put together a set for each collection, another something different for Spring 2015. Floaty white dress by EMAH from Ellie Hottinger. Loved how their collaborative looks were so sharp, but also seemed so effortless. Look by House of Gina + Marie and Mienkielo. I loved the fun spring prints and even more love Yevette’s dedication to sustainable style. Her line and her philosophy are very in tune with mine, that supporting socially and environmentally conscious clothing is important for the betterment of the world and it doesn’t have to be boring. Excellent pattern mixing on this look by Yevette Willaert. Kim and Jen’s use of fringe was right on trend with a 70’s vibe, and it had gorgeous movement down the runway. The tie-dye made me want to take a beach vacation ASAP. Everything looked comfortable and stylish, which can definitely be hard to do. The collection was 20’s inspired, and I appreciated that it didn't hit you over the head with a flapper dress. There was a lot of mixing of sheer and prints, and the iridescent beading was fantastic. Monsieur Adi mixing in a lot of the Gatsby movie soundtrack definitely amplified my admiration of the collection. Dress by Kozol. The bright color and flowy fit makes this a great summer dress. Ah, this Kozol jumpsuit is made from the same fabric as the Tessa Louise kimono I am obsessed with. Look by Emily Trevor. I absolutely adore the twist/bow back. Look by Emily Trevor. Those pink pants are awesome, and again I love the bow. And the finale dress...tennis wedding anyone? George Moskal closed the show for a second season. The sparkly prints mixed with soft fabrics would make an excellent sophisticated but playful spring wardrobe. 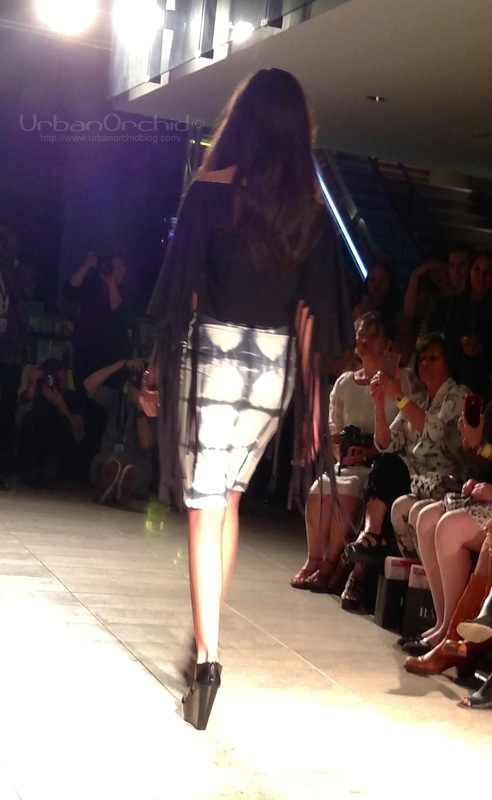 Envision is always the highlight of my MN fashion season, and the Spring 2015 event brought in lots of new elements. I hope the video introductions continue and would love to see even more ways to shop the runway the night of the event. I’m very excited about the talented designers in the Twin Cities and hope that all my Vegas and Chicago friends reading can rest assured that Minnesota has a lot more for me than we all anticipated. Dress from Ragstock Duluth, Shuriken ring by Kristin Hassan, vest by Punkktual (bought it at RAW: EXPOSURE and saw it on the runway at Voltage 2013), leopard calf hair wedges by Banana Republic, clutch from Target. Envision now has it’s own Facebook page: https://www.facebook.com/envisionminneapolis. Save the date for the Fall 2015 show - Sept 25, 2015! There were so many great events for Twin Cities Fashion Week, I wish I could have attended them all! It will be so much easier to coordinate when I finally live in Minneapolis. I enjoyed my time at the events I did attend and can’t wait til next season! Hosted by MSP Magazine at Aria, Fashionopolis showcased items inspired by their September Style issue, all available at Twin Cities retailers. The show was separated into themed segments and presented in one of the more elaborate runways I’ve seen. Section 1 - Overexposed featured a lot of sequins, Section 2 - After Sunset featured a lot of leather, Section 3 - Winter Carnival showed a lot of bright outerwear, Section 4 - Dreamsicle showed how to wear pastel colors even in crisp fall and winter weather. In the lobby, there were live models showcasing pieces from Scheherazade, Stephanie’s, House of 365, and more. The space was interesting, with whimsical sayings on the walls and cool chandeliers. Aria is also very conveniently located near the office, so I was able to rush back right after the show (and Glam Doll Donuts) to finish up a project. Fall 2014 was the best production of Envision I have attended so far. Loved the signage from Minneapolis based Woodchuck, who I recognized from their storefront in Duluth during the holiday pop-ups. Tricia Khutoretsky of Public Functionary hosts Envision. The video introductions before each collection really helped focus on each designer or retailer, rather than the night being two segments of a smattering of shows. The live entertainment by DJ Adora Tokyo and breakdancers made intermission more than just grabbing another drink. Finale dress by Tessa Louise. Full review of Envision Fall 2014 to come! The North Loop of Minneapolis is not only home to the office I’ll be working out of (and the brewery/restaurant below it), but also a lot of independent retailers. The North Loop Fall Crawl consisted of 11 featured retailers and a passport to get stamped at each one. As soon as eight different stamps were collected (4 from the central zone and 4 from the more outer zone), the stub could be filled out and entered in a gift card raffle. I got every single stamp by the end of the crawl. Roe Wolfe - I had heard a lot about Roe Wolfe via past seasons of Envision, but never had enough time to stop in until now. A great mix of local and boutique brands. Lole - Women’s activewear. They have the running jackets with the thumbholes that I love so much. Some of their items can cross over from activewear to being casual wear. Stephen Vincent Design - Absolutely beautiful fine jewelry. A lot of gorgeous pieces available (including the perfect diamond studs I need to save up for) and custom designs can be created. martinpatrick3 - This is the place to shop for men. Lifestyle store from apparel to barware to coffee table books and more. The inaugural season of this event was a great way to see parts of the Metro that aren’t in downtown Minneapolis or St. Paul. Held at the Shops at West End in St. Louis Park (which I’ve likened to Town Square in Las Vegas), the weekend involved two nights of different fashion shows from local retailers and designers, and a pop-up market including Minnesota based brands and stores. Marc, Coco, Betsey, Karl, and Tom - Fashion icon Block Bots by Oh Dier. The market was really fun. I loved seeing representatives Duluth Pack, Elixery, Oh Dier, Apricot Lane, and getting to know more about them. I even stopped by Sanborn Canoe booth where they were showing handcrafted canoe paddles...it made me nostalgic for my Concrete Canoe days in college. At the market, I fell in love with jewelry designer Cheryl Shohet. Each of her pieces is unique, with a focus on creating art that you can wear. Artist and jewelry designer Cheryl Shohet. One of the more interesting things about MN4MN weekend was how Target showed both nights - the first night showcasing items from it’s house brands (Merona, Mossimo, etc) and the second night, looks from creatives on their design team (Lindsey Hopkins, Marissa Bridges, etc). Sometimes, I forget that a corporation as big as Target still consists of actual people. Full review of MN4MN to come. 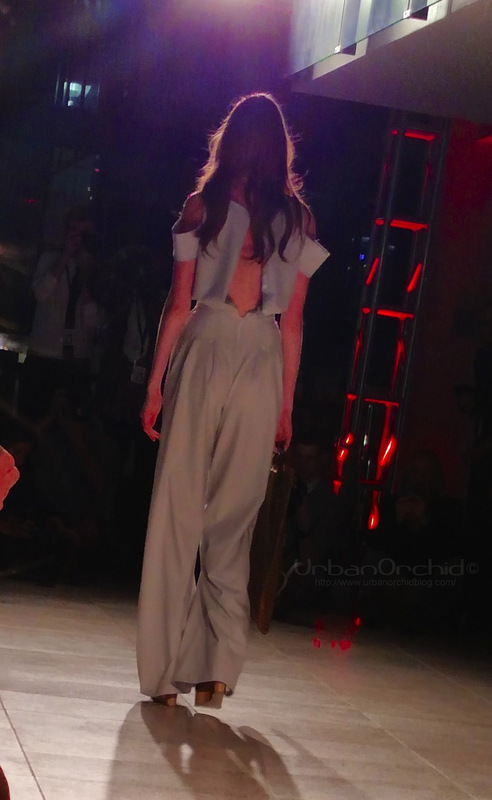 Written by Urban Orchid On October 27, 2014 In "fashion", Fashion, Twin Cities Fashion Week, fashionopolis, Envision, MN4MN, "jewelry"
ICONS MN: Film. Fashion. Rock & Roll. With a tagline like “Film. Fashion. Rock & Roll.”, how could I miss ICONS? Originally scheduled for a weekend I had other commitments, I was excited to find out that not only would the new date be on a night I was free, but also on a weekend I would already be heading down to the Cities. Designer inspiration sketches at ICONS. Hosted by Cult Collective and held on August 9, 2014 at the St. Paul Athletic Club, ICONS was a really fun experience and reminded me how much I love Joan Jett, Black Flag, and rock in general. I was a little wary since this event came from a lot of the same team that threw the Black Hearts Ball, which I was really excited by but didn’t have the greatest experience with. However, ICONS was fantastic. Entry at ICONS. Photo by Rick Corwine. The show centered around 4 short films each showcasing a different style of rock from Glam Rock to Psychedelic Rock to Women in Rock to Punk Rock. After the film, a runway show featuring looks by local designers rocked the room. I love the leg harness. I need one in my life. Looks by Tim+Thom and ArielSimone. Look by Tessa Louise. It came down the runway to Joan Jett's "Do You Want To Touch Me". Perfect. Looks by Kelly Keene and Danielle Everine. Look by Emrys Mariel Stramer. Looks by Laura Fulk and Emrys Mariel Stramer. Looks by Sarah M. Holm and Laura Fulk. Due to a scheduling issue (mini-golf at the Walker took longer than anticipated), I didn’t have time to grab dinner before the show. Which worked out completely fine, since my ticket included access to food by Chef Chris Gerster (head chef at Red Stag and formerly of Alma, both on my MSP restaurant bucket list). I think I ate more than enough chicken florentine for myself and the rest of the crowd. The Step Rockets gave a private performance for attendees of ICONS after the film and fashion portion ended. My phone ran out of battery before I had a chance to capture the magic, but they definitely kept the crowd going. I keep finding excuses to wear this sparkly stunner I found in my ICONS gift bag from Realia by Jen. I don’t wear rings often, but when I do, they have to be bauble-y. Ring by Realia by Jen. ICONS was truly a fun night filled with film, fashion, and rock & roll. Written by Urban Orchid On October 26, 2014 In "fashion", "food", "jewelry", "Minnesota"
I guess I took an unintentional hiatus. Initially, I was so energized and excited about starting a new chapter of my life that it felt like I could do anything and everything. I didn't realize how exhausting it would be to really start adjusting. As soon as I was starting to feel at home and normal in my new environment, my priorities changed. I made new friends and spent time doing things other than go to work and to the gym. There were margarita nights and date nights and karaoke nights. Large margarita at Mexico Lindo. There were Bloody Mary Sundays and brunches at Luce or at Uncle Loui's. Bloody Mary bar at Bowery Bros pub at the Radisson. There was beer and a lot of whiskey. Leinenkugel Summer Shandy at Germanfest in Milwaukee! There was travel for work and travel for fun. There was hip hop, punk rock, and Bob freaking Dylan. There were art fairs at Bayfront and second Friday exhibit openings at the Prøve. Labradorite and butterfly wing necklace by ISMS (based out of MN) from the Bayfront Art Fair. All Pints North Summer Brewfest tasting glass and program. There was a gin bucket and tequila before noon. There were bonfires on beaches both at sunset and at sunrise, and even one in the snow. Beachfront bonfire at Glensheen mansion for the company holiday party. There was the symphony orchestra, the ballet, a pizza filled scenic train ride, and a haunted ship. Not even half of the programs and tickets I acquired. Did I mention there was beer? There was a graffiti graveyard. There was gay pride weekend and gay marriage legalization. Wedding cake at the first gay wedding reception at Tycoon's. There was dancing, fashion, and retail therapy. There was loss and a lot of facing fears and testing limits. Even through the ups and downs, things are going just fine. I'm learning so much at work and have made great progress since I started. I'm registered and studying for a few professional certification exams and am excited to achieve those qualifications. I'm now the secretary of my Toastmasters club which helps the club (and me) stay organized. Also hoping the added responsibility motivates me to keep working at completing the projects on the path to becoming a DTM. I have met a lot of great people here in Duluth through work, Toastmasters, meetup.com, and just from going out on the town whose company I enjoy and hope to continue making memories with. I'm excited about all these things but now that they're feeling less new (and stressful) and more normal, I can get back into writing about my explorations in local fashion and culture including all about Voltage, Envision, and some of the boutiques around town. Thanks for reading and I hope to write more soon. Written by Urban Orchid On January 13, 2014 In "Duluth", "beer", "fashion", "jewelry"